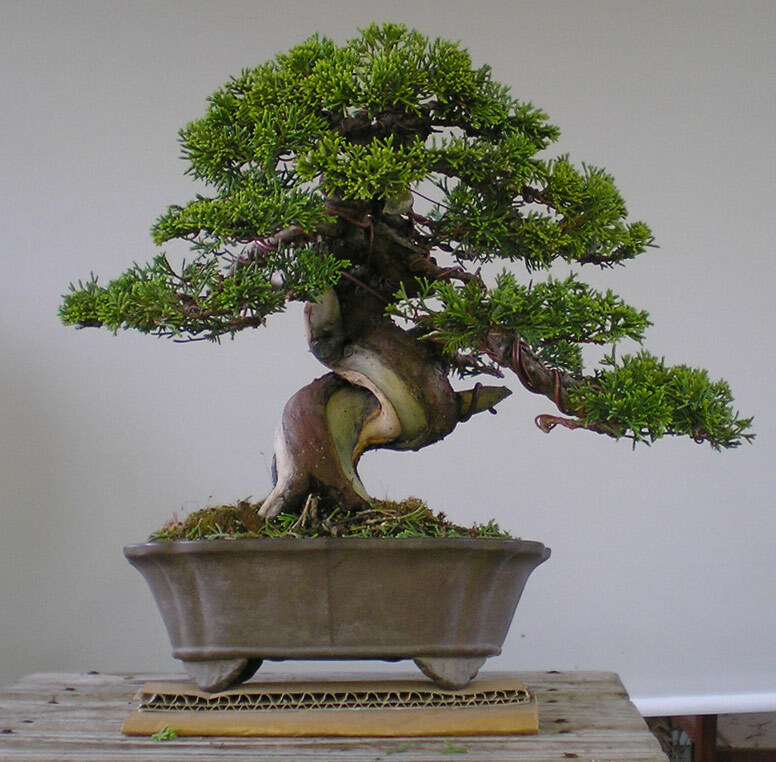 You are currently browsing the tag archive for the ‘Japan Bonsai’ tag. 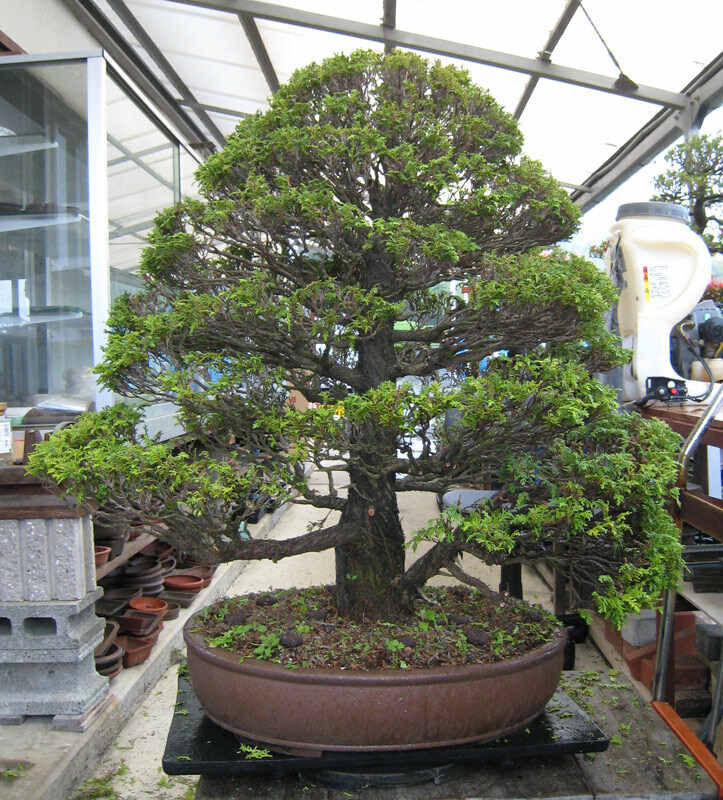 The Gafu-ten exhibition in Kyoto was one of the first bonsai stops i made on this recent trip. 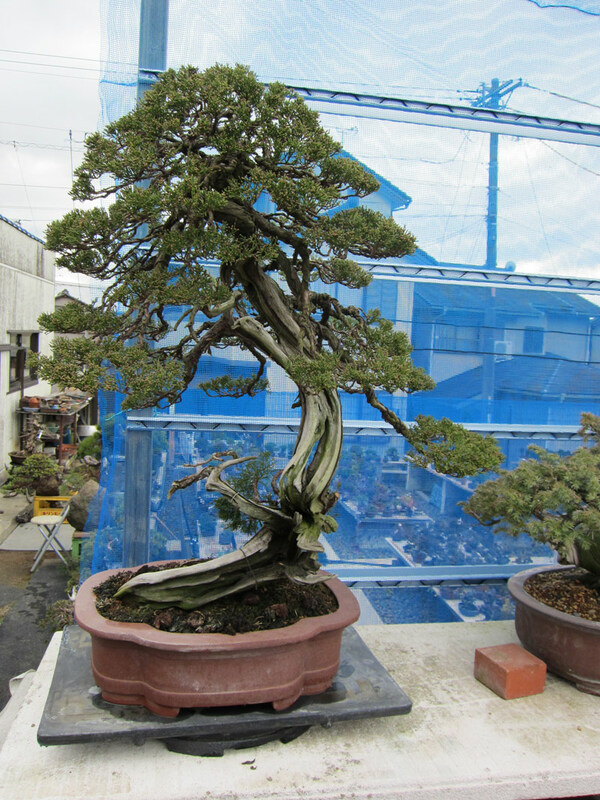 Gafu-ten is held in the Miyakomesse Building, Kyoto. 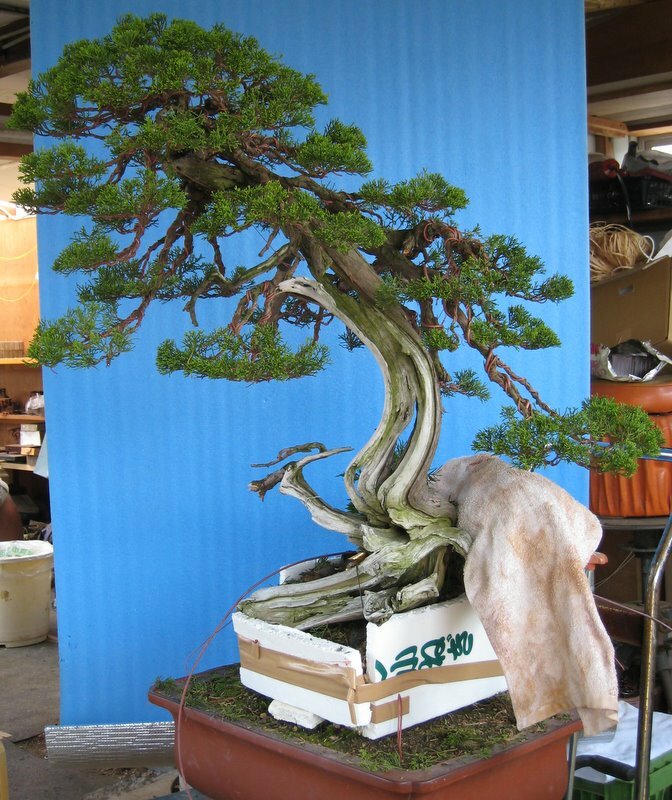 It is recognised as the highest level shohin bonsai exhibition in Japan. 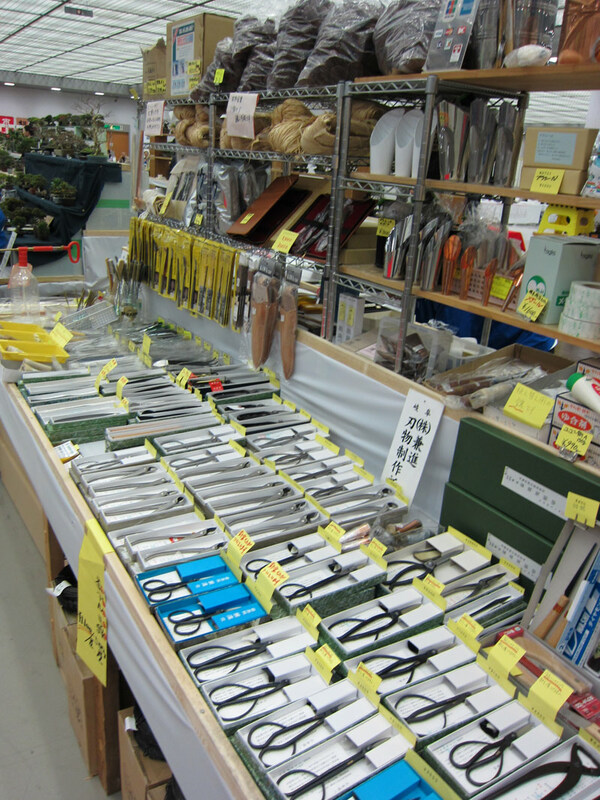 There are over 200 displays in the show and it also has an extensive sales area. 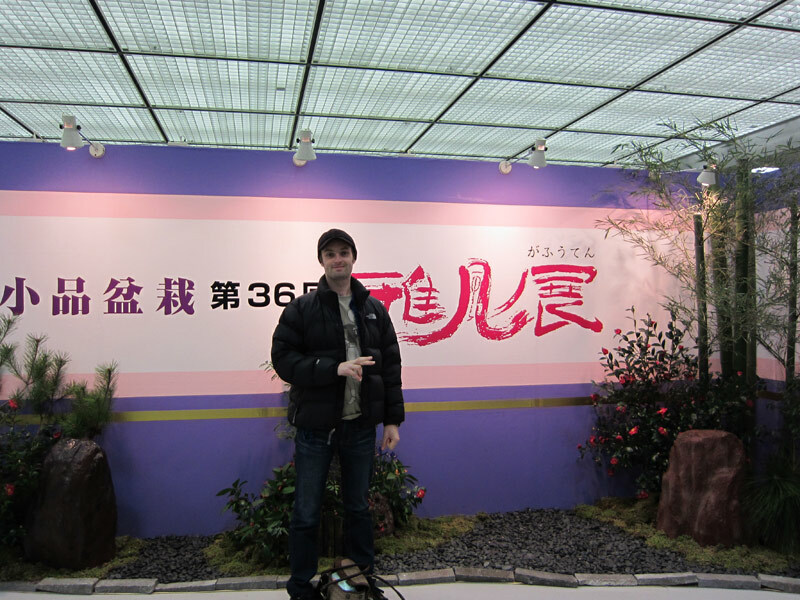 It was my first time to the exhibition and i was thoroughly looking forward to it. We arrived and were very fortunate to be given two free entry tickets by a very nice woman. The exhibition was fantastic. 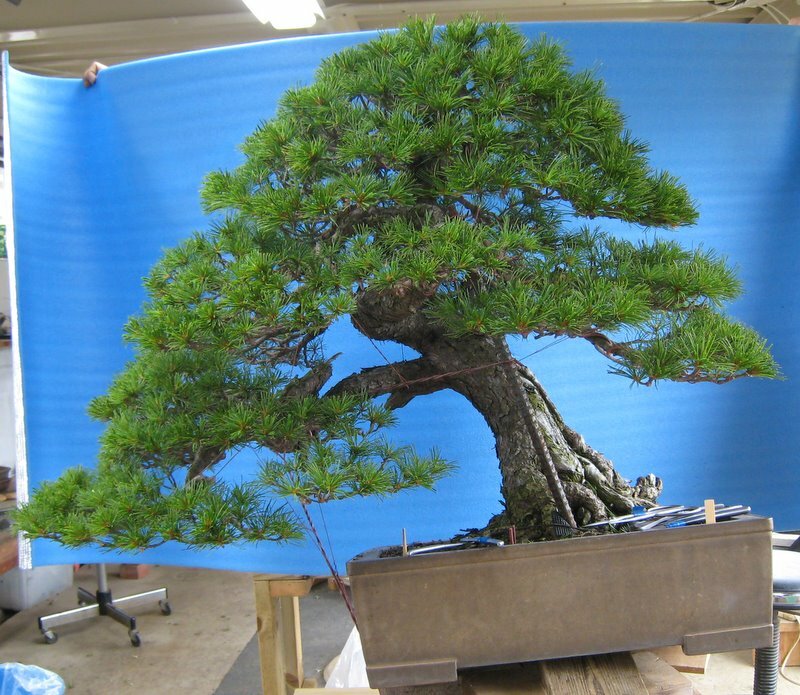 The 200 displays were overwhelming. Although we spent the most part of a day at the exhibition it was not nearly enough time to take everything in completely. 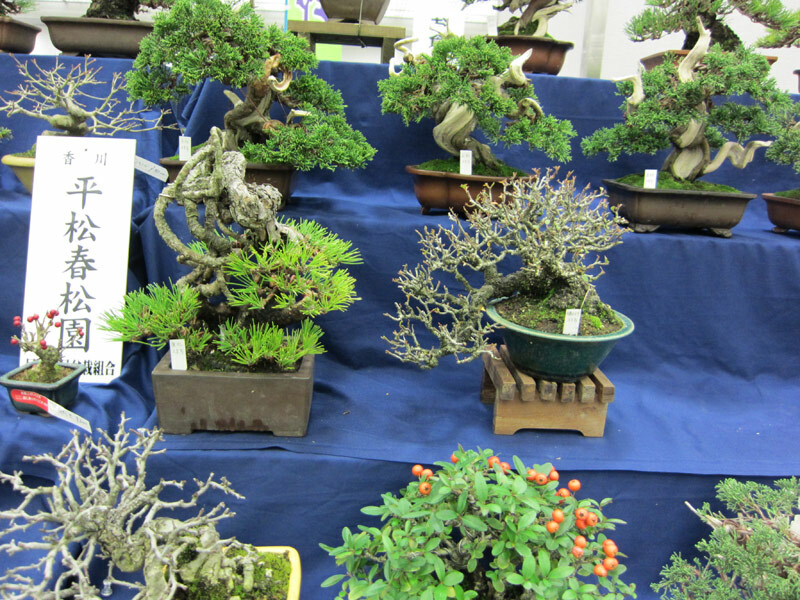 The level of trees on display was amazing and each tree was beautifully matched with some truly beautiful pots, stands etc. Unfortunately the only places i could take pictures was at the entrance and in the sales area. I think i will probably have to buy the album as i would like to spend my time revisiting some of the displays that have stuck in my head. After filtering through the exhibition we emerged in the sales area. We were there on the last day of the exhibition so i am guessing that the best items may have been sold but there was still a huge amount of things to buy, look at and wish for. 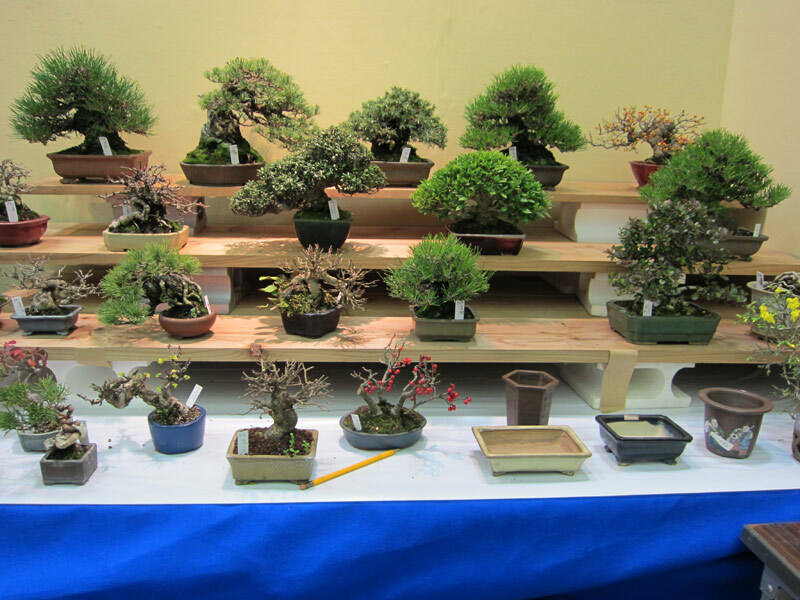 Many of the sales trees looked like they would not be out of place on the display benches. 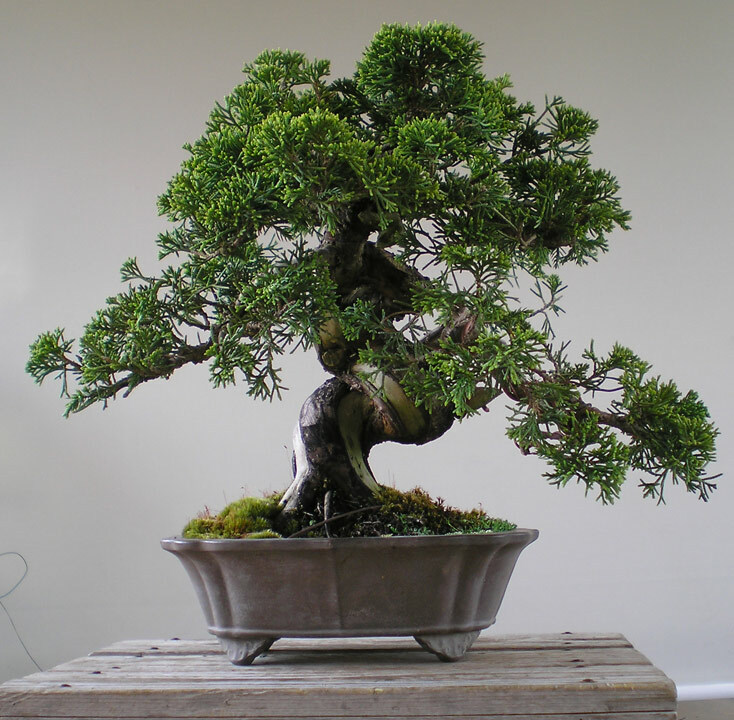 The tree had been grown out without much maintenance for a number of years and as a result the it had grown very dense and had lost some inner branching. 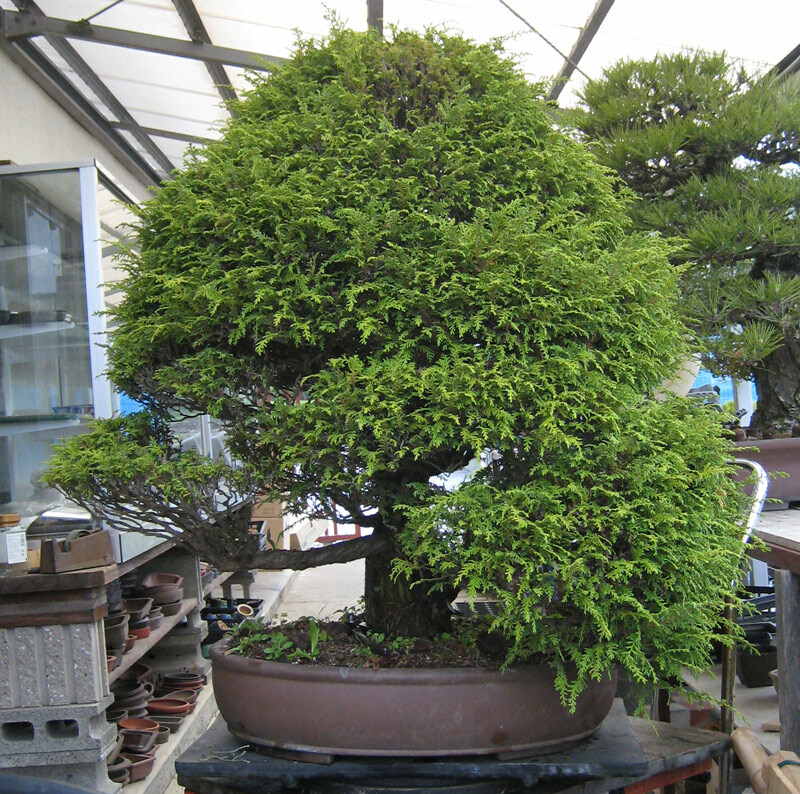 This is the tree after the first branch had been pruned. 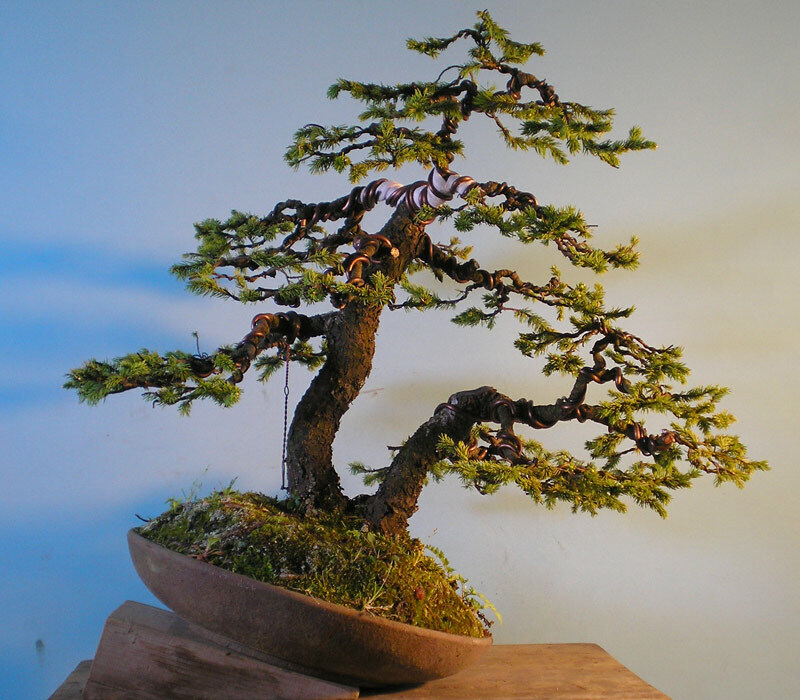 My job was to thin out the entire canopy, remove un-needed branches and reduce the remaining branches back to a more manageable structure. 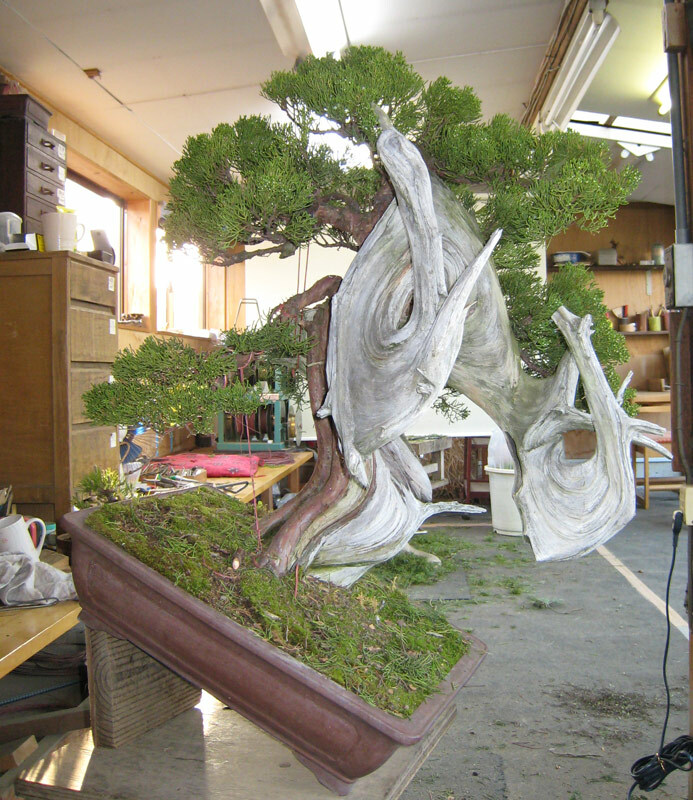 This work was intended to stimulate back-budding prior to a future wiring. 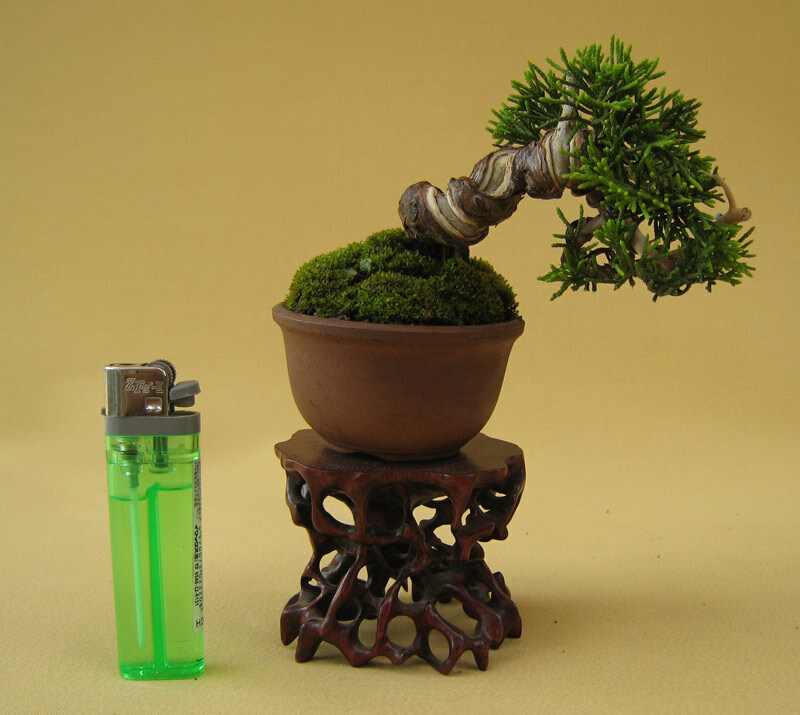 The pruning is half done. 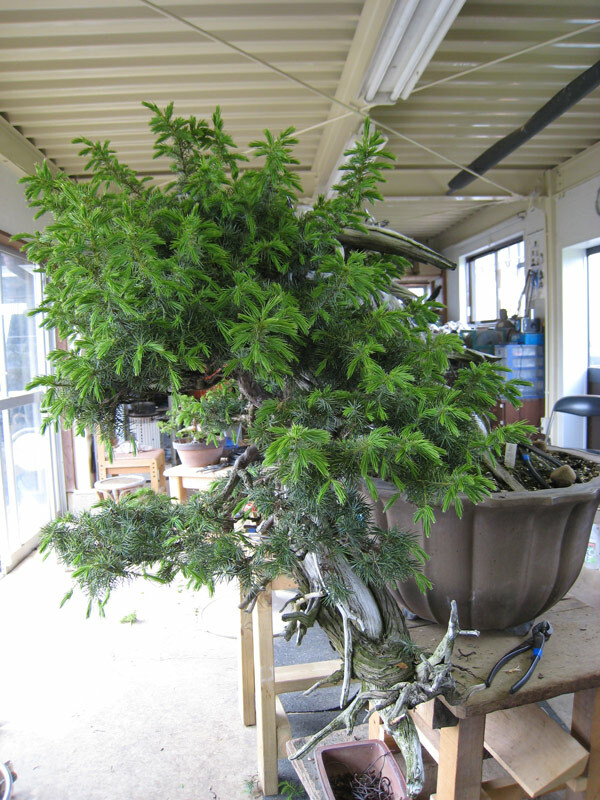 As the tree was large, it took me a full day just to prune it from bottom to top. 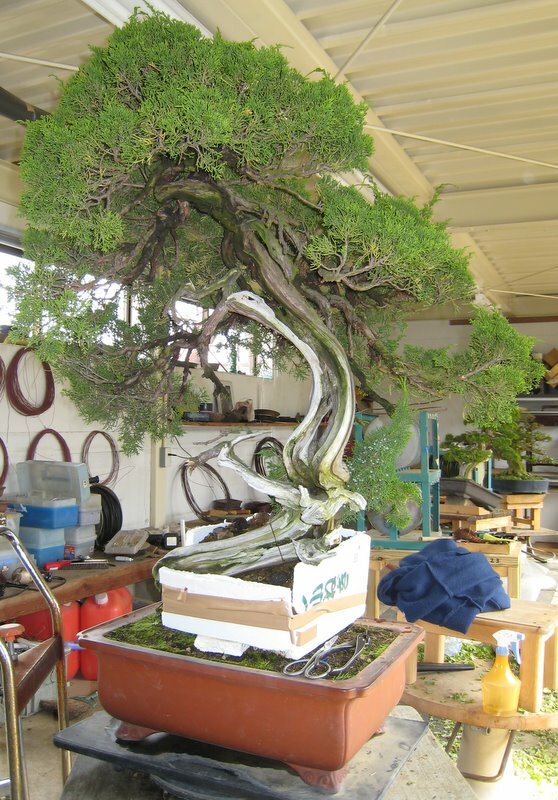 After the work the structure of the tree started to become apparent. Although it still has a long way to go, it is now easy to imagine it future . 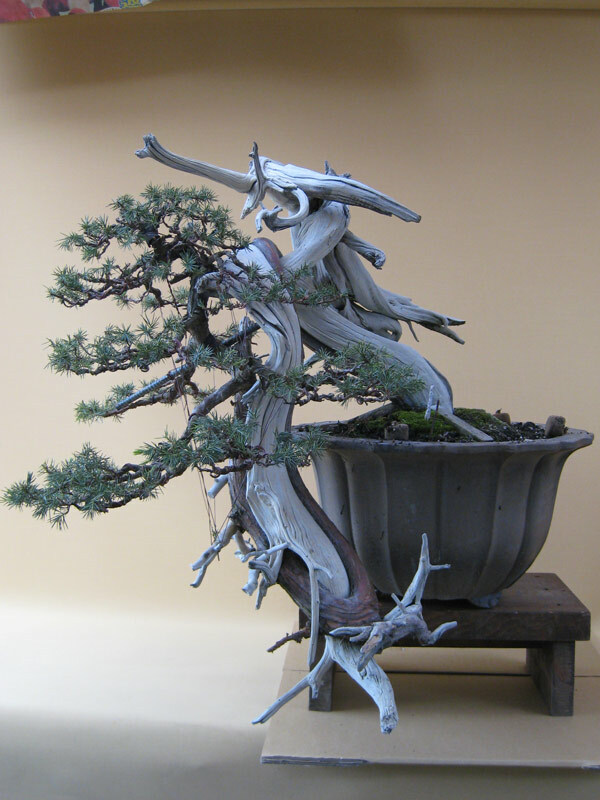 The tree had the most amazing twisting bark that i am sure will add to its chances of one day again being shown in Kokufu. 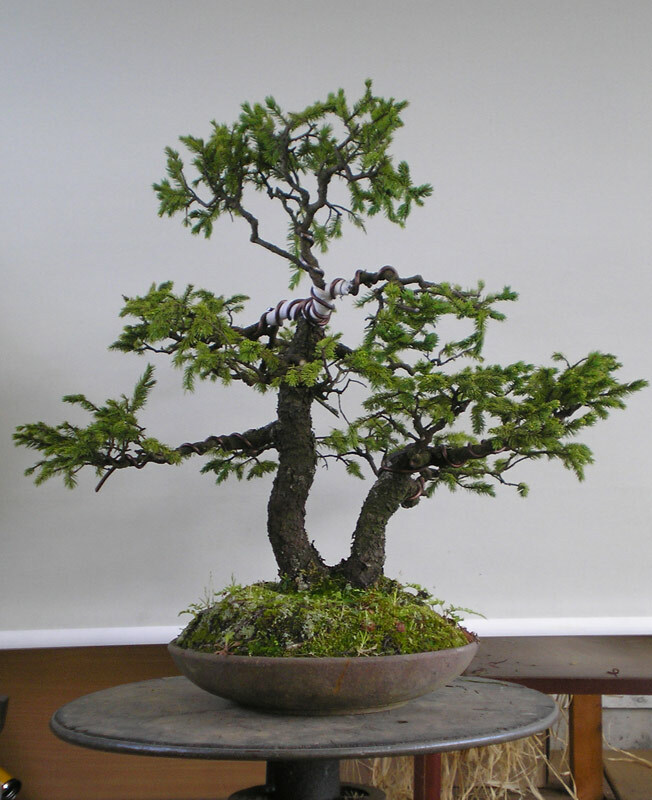 Unfortunately i was unable to work out what species of Chamaecyparis it was. 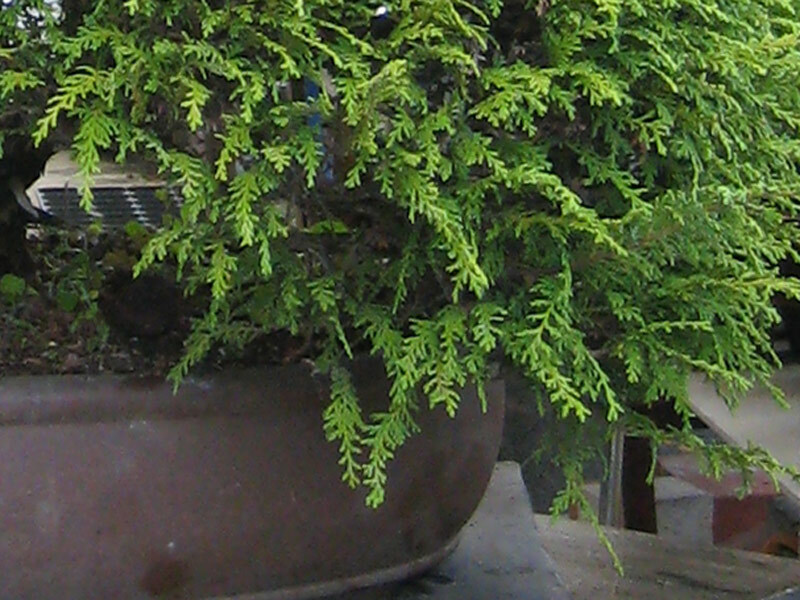 I am guessing Chamaecyparis obtusa but i am not 100% sure. 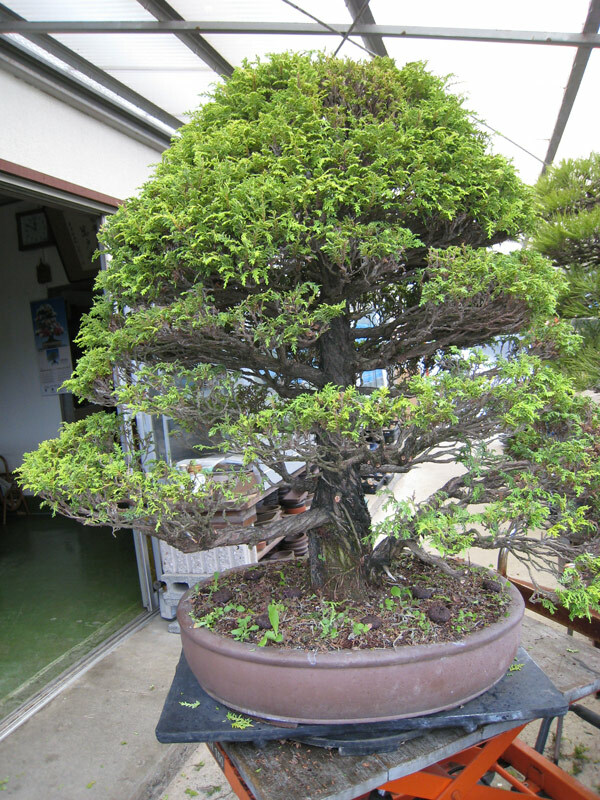 It had fine foliage that i had not seen before. If anyone reads this and can identify the species from the pics below please add a comment or send me an email. 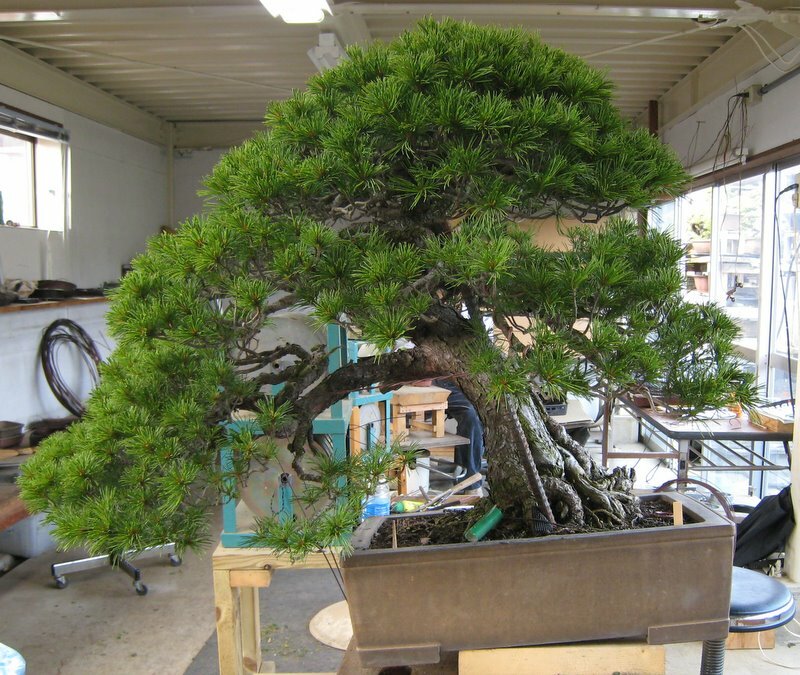 It was a great tree to work on and taught me a lot about pruning. At the start of the process i was concentrating too much on the tip density. 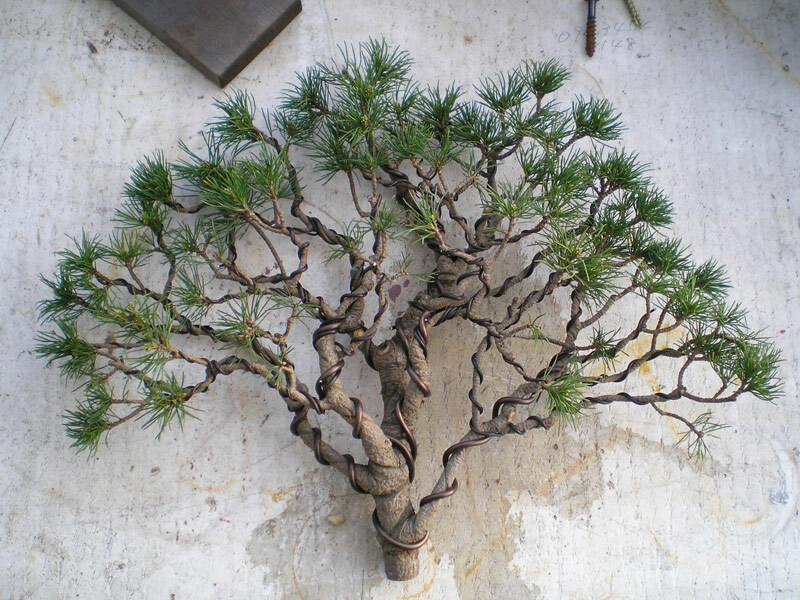 Mr. Urushibata spent some time explaining how you often you have to look deep within a branch structure and cut out some secondary branches rather than thinning the tips. 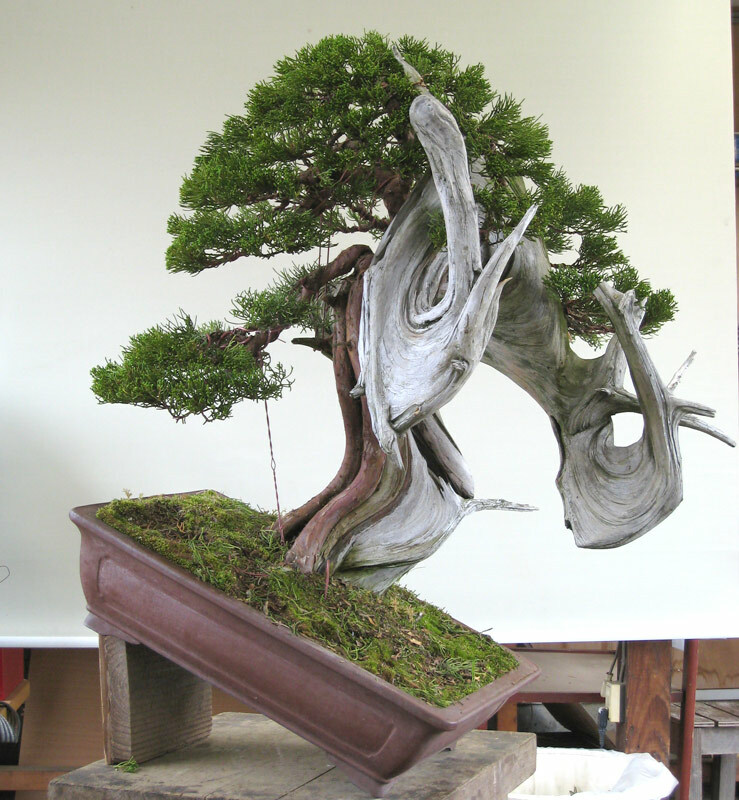 It was a concept that like many in bonsai seemed simple enough but was not apparent until someone pointed it out.